Status: offline I would like to know how to make a Headline background white. Status: offline Do you mean text with no shadows appearing on the text? If so when you are on the Headline Tab, click on Drop Shadow and change the color to white. 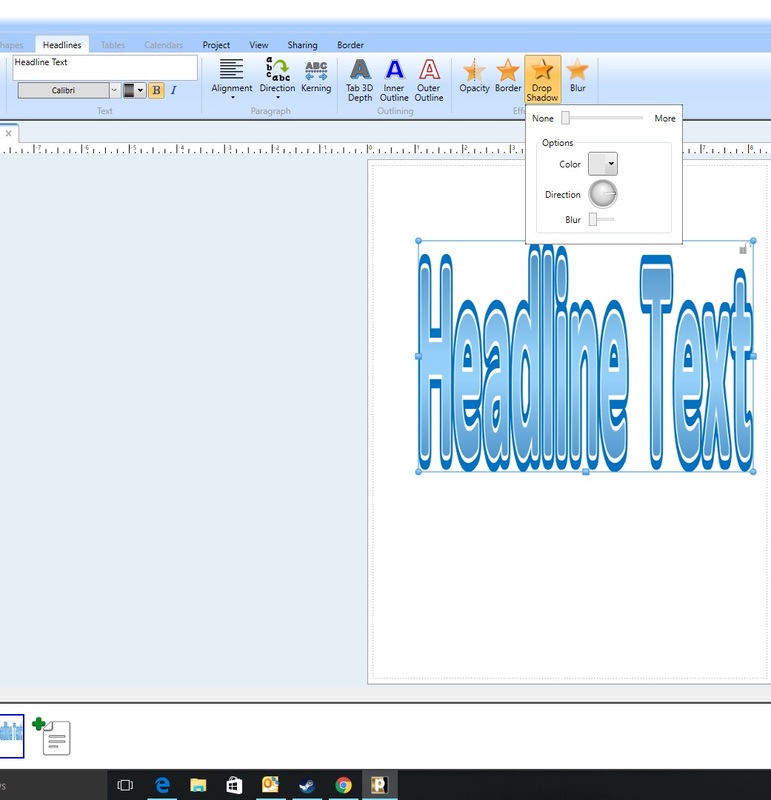 Status: offline In a project, the Headline has a transparent background. If you want it to look like the Headline is inside a white rectangle, add a white rectangle, position it under the Headline and group the two objects. Status: offline In 23.1 you could add white or any color to shape with headline another color. Can this not be done in 4.0? I cannot figure out how to make a black shape a color either. It was so easy to do in 23.1. 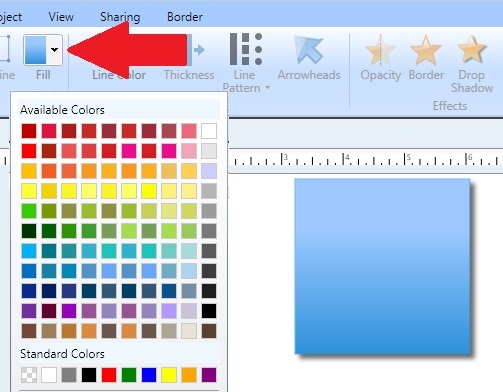 Status: offline How to color a shape: Select the shape, click the Color Fill drop down arrow, choose your color. Status: offline The shapes I want to color are black graphics, like a black umbrella, I have imported in my project. In 23.1 I could import them in and change color to match my project. Can you do that in 4.0? ... like a black umbrella, I have imported in my project. In 23.1 I could import them in and change color to match my project. Can you do that in 4.0? These are PNG files you are importing? Status: offline I do not know. They are from Pinterest or Google Image. I just copy them and paste them. I could do that in 23.1 and color them any color. They are solid black graphics. They are from Pinterest or Google Image... They are solid black graphics. For graphics with color, the Image Editor's Tint effect would recolor the graphic by changing its hue. Pure black has no color, which is why the Tint effect shows no change. I have found a way to add color to a black graphic in the Image Editor, but it is tedious and the results are not always as expected. You may find that MS Paint will do what you want. Although 23.1's system requirement is Windows XP, Windows Vista, or Windows 7, 23.1 can run on Win 10 with very few compatibility issues. You may want to keep 23.1 as long as you can, as there will never be an updated version. The current version was designed by different developers which is why it is quite different.